NORTHERN Territory Minister for Primary Industry and Resources, Ken Vowles, is demanding the Federal Government abolish plans to introduce independent observers on short-haul live export voyages, saying the move would cripple the NT’s live export industry, kill its growing buffalo trade and destroy jobs. In a statement released overnight Mr Vowles said Federal Minister for Agriculture and Water, David Littleproud, has indicated via a Ministerial directive to the federal Department of Agriculture and Water Resources (DAWR) that every shipment of livestock leaving Australia will need to have an Independent Observer on board. Mr Vowles said the Federal Government’s plan to introduce independent observers was is a result of animal welfare issues with the live sheep trade, not the live cattle or buffalo trade. He said the costs to employ an independent observer have been estimated at $1300 per day, plus the cost of a business class flight to return the observer to Australia. “The death of 2400 Australian sheep from overcrowding on a live export ship was appalling,” Mr Vowles said. “But the live export of cattle and buffalo is very different to the live export of sheep. “Ours is an expanding industry, with shorter voyages to markets in Asia and high standards of animal welfare. “Hundreds of Territorians are employed by the sector and I am standing up for those jobs, and the jobs that will be created with continued growth of the industry. “To slam our industry with costs for independent observers at this vital growth stage is madness. “This fee will be passed on through the supply chain, affecting everyone from the cattle producers and buffalo catchers to the live exporters. “I support improvements to animal welfare in the live export industry, but the Federal Government should not make a knee-jerk reaction that affects parts of the industry already operating to a high standard. In a statement provided to Beef Central on Wednesday afternoon, the Department of Agriculture and Water Resources said the process of placing independent observers has been underway since the Minister announced in April that observers would accompany future export voyages. “The Minister announced in April this year that an independent observer would accompany every voyage carrying either sheep or cattle. The department is implementing this decision, already having placed observers on a number of high risk voyages,” the DAWR statement said. “Information received from independent observers, including footage, is supporting verification and compliance activities. Northern Territory Livestock Export Association chair David Warriner said cattle exporters supported moves to strengthen transparency throughout their supply chains and welcomed the Federal Government’s efforts to see this implemented. “Nonetheless, clarity is needed regarding the introduction of independent observers on livestock vessels,” he said. “Exporters and producers share significant concerns about the extra costs to be absorbed by industry because of the introduction of the Observers, as well as the relevant qualifications and experience of those employed as observers and the reporting protocols in place, subsequent to a voyage. “Very practical questions about who is responsible for the independent observers, what their day-to-day activities will be, and how they will be accommodated on board also need to be discussed further. “Welfare management must be considered, especially if an observer, who is working at arm’s length from daily livestock management, is taking the bed and lifeboat space of a ‘hands on’ accredited stockman. 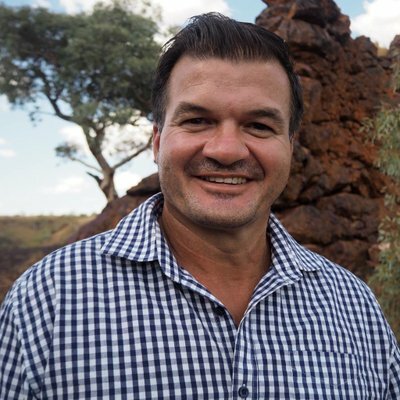 NT Buffalo Industry Council vice president Michael Swart said there clear and established role definitions and protocols for accredited veterinarians and stock persons on cattle and buffalo livestock vessels. “These existing personnel accompanying cattle and buffalo on voyages are appropriately trained, qualified and doing their jobs effectively, as the extremely low mortality rates show. “There are no discernible benefits to be derived from imposing independent observers on livestock vessels across the board. Instead, there is much to lose. This proposal would add an unnecessary regulatory and financial burden on livestock producers. It assumes the industry is the same across all animal species and it is not. It’s not about putting profit before animal welfare. It’s about not loading extra and unnecessary costs on businesses. It all comes right down to complete differences in the live trade with relevant species. Cattle and Buffalo are not sheep. A three or five day short haul is not a 10 or 12 day voyage. Unlike the common shirts made in China now, one size does not fit all.! All comes down to profit. Australia cannot claim to have high standards of welfare when profit comes before the wellbeing of the animals.